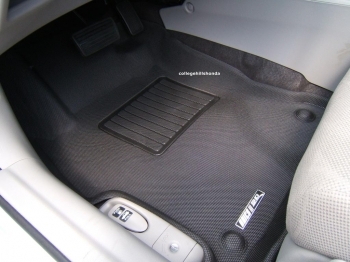 Cons: Don’t cover as much surface area as floor liners, small lip corners don’t hold as much water and dirt. Pros: Laser measured for proper fit, high edges hold a good amount of water and dirt, excellent construction, warranty rivals OEM, made in USA. Cons: Not extremely attractive/industrial looking, high cost, fitment is not always accurate, long wait when new models are released. 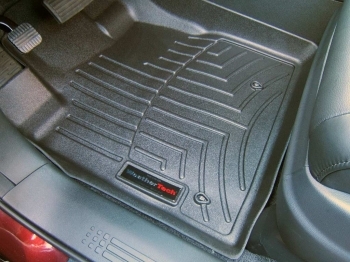 Pros: Laser measured for proper fit, edge height and protection rivals WeatherTech, attractive and sporty looking design, max-spider backing keeps liners without anchors in place, special middle layer provides some additional sound dampening, consistently the most affordable liner option, company stands behind the product. 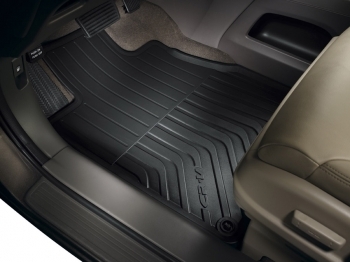 Cons: Lighter durability than WeatherTech. 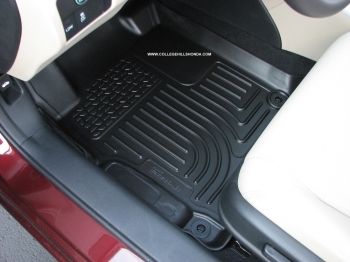 Pros: Good protection similar to both WeatherTech and Aries, spikes underneath liners keep them in place, heavy duty appearance. Cons: Liners are pretty stiff and can sometimes be hard to install/remove, spikes underneath liners can poke and scratch you when installing/removing, product finish quality is not always top notch. *The views and opinions expressed in this post are solely those of the original author. These views and opinions do not necessarily represent those of any/all contributors to this site.